Dr. Indictor can do teeth implants, and more! Dr. Indictor can create a whole new look for a patient. LITTER does he know how good he is. 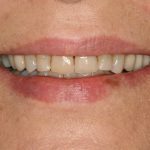 East Boynton Smile Makeover | A Nurse With Something To Smile About! 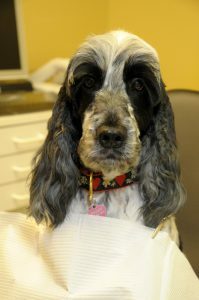 East Boynton Dental Takes Your “Smile Makeover” Requests Very Seriously! The top photographs on the left and right are of a “50 something” year old patient taken prior to her “smile makeover”, which was recently completed at East Boynton Dental. The photos of the patient, who by vocation is a nurse anesthetist, works in one of the local hospitals. She wanted a more “youthful” smile. Subjectively she felt that her teeth were dark in color. These lower photographs represent the patient at the completion of care. As part of the preliminary work-up we took impressions of the patient’s teeth. The upper model that was retrieved from the impression was waxed up in the laboratory and a “mock up” of the finished case was made; the patient was then given the opportunity to visually see the waxed-up version and thus saw the finished case before we even began. Now with the patient’s approval the care commenced. 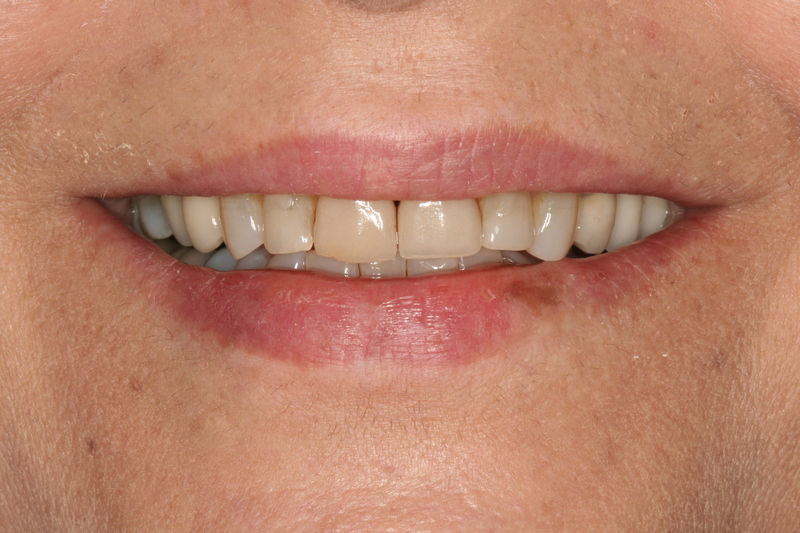 The case was completed with indirect bonded Porcelain Veneers that were fabricated in the laboratory using the “mock up” version of the upper front 6 teeth as a guide. Are you ready to give yourself something to smile about? Call us today to set up a consultation about your smile makeover! 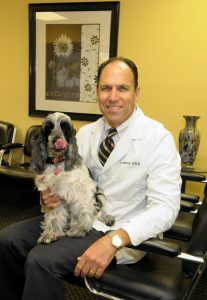 East Boynton Dental… convenient location and access! Is it time to schedule your next teeth cleaning? When you come to our office, do not park in front of our hydrant, I need easy access. 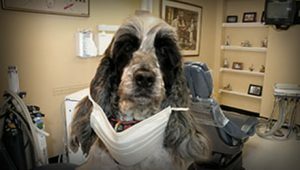 We clean your teeth, especially your CANINES. When Dr. Indictor does an implant consultation he listens to my favorite classical composers.